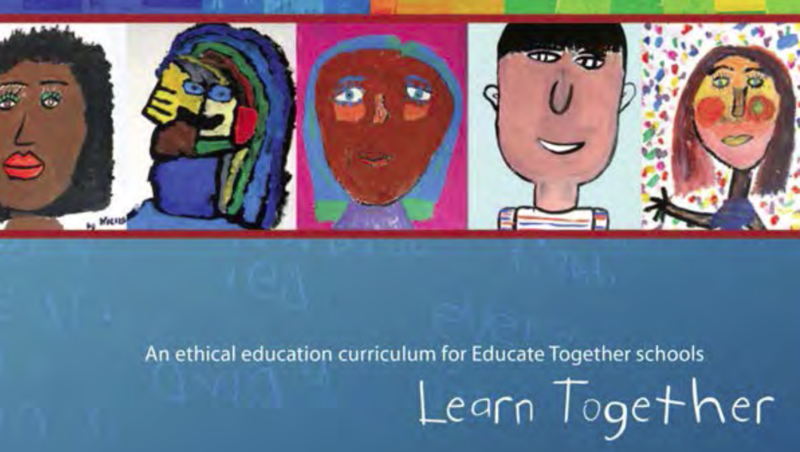 Ethical Education is taught in place of religious instruction in all Educate Together primary schools. We are particularly proud of our Learn Together program here at GETNS, as it has been developed through consultation and collaboration with the whole school. It is also a flexible program which enables us to add and remove learning content in order to cater for our ever-growing and changing school community and, indeed, our global community. During each term, the children are taught across all four learning areas. We take a whole-school approach to this program, meaning that children are learning about the same topics, at a similar time, at appropriate levels. Our Learn Together program is taught in a Year A and Year B format, in line with the Primary School Curriculum, which is also taught over a two year period. 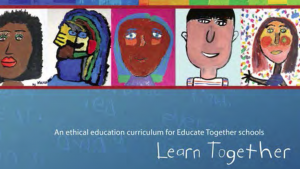 The objective of Ethical Education in our school is to instil in our pupils a sense of self, a sense of community, a sense of belonging and an understanding, respect and appreciation of our global community, environment and belief systems. Helen McClelland, Deputy Principal, coordinates the Learn Together program in our school. Please contact the office to make an appointment with her if you would like to discuss any aspect of the program, or if you would like to make a suggestion. Belief Systems Christmas around the world – choose one place linked to your class nationalities.